This visit was no fairytale. 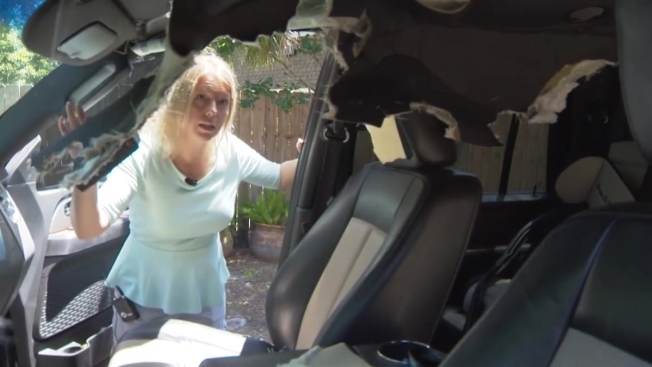 Three bears were found outside a Florida home, one stuck inside an SUV. Now state wildlife officials are working to trap an adult female they believe was at the home. Rikki Koberg-Perrero tells news outlets she and her family heard loud noises outside their Longwood home Saturday night. They discovered two bears near their garage, one inside their Ford Expedition, and called 911. The bear found its way out of the SUV after an officer opened a door. Koberg-Perrero says the vehicle's seats were ripped up. She says the vehicle is a total loss. The bears ran away and no one was injured. The Florida Fish and Wildlife Conservation Commission says it's likely the female killed one dog in the area and severely injured another.